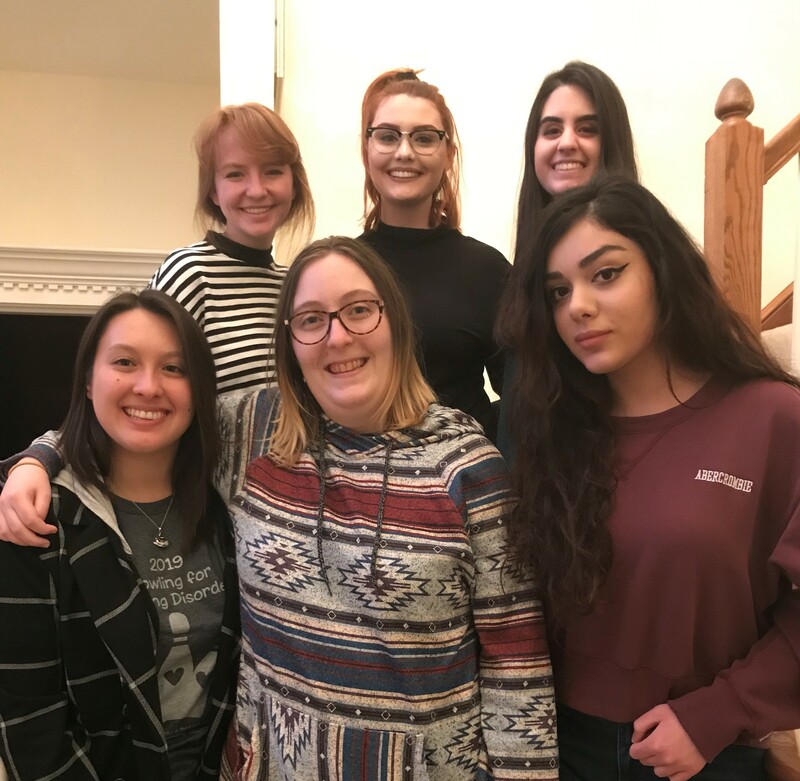 Nuances, the literary magazine of La Roche College, is created and maintained by the English honor society, Sigma Tau Delta. The 2019 Editors from Left to Right, back row are Kathleen Kenna, Katherine Friend, and Danielle DiNatale. Left to Right, front row are Jessica Lee, Heather Radick, and Lucia BouDarghm. Heather Radick Editor I am a senior majoring in Literature and minoring in Professional Writing. In addition to being a three-time editor of Nuances, I am also president of Sigma Tau Delta and a peer tutor at the Writers' Center. After graduation, I will pursue a Masters at Duquesne University with a focus in literature. In my free time, I hang out with my cat and argue with myself about American modernism. Lucia BouDargham Editor I major in professional writing and journalism, and I have a passion for writing poetry and tranporting the reader into the world that I have crafted on paper. I love traveling and exploring new places. I am also fuent in both English and Arabic. Danielle DiNatale Editor I am a junior professional writing and journalism major who has a passion for creative writing. While being an editor for Nuances, I am also a writer for the La Roche Courier and a member of the La roche chapter of Sigma Tau Delta. I enjoy comics, history, and daydreaming. If I ever disappear, you'll find me living in a castle in Europe. Katherine Friend Editor I am a freshman Professional Writing and Journalism Major. In additon to editing for Nuances, I also write for the La Roche Courier. I enjoy reading, writing poetry, and my favorite author is Jurt Vonnegut. Kathleen Kenna Editor I am a sophomore literature major. This is my first time editing Nuances. Someday I hope to get a Ph.D and write academic articles about beat poetry that no-one will read. Michelle Maher Faculty Advisor - Nuances Michelle Maher, Ph.D., is a poet and writer. She is a Professor of English at La Roche College. Lynn Archer Faculty Advisor-Computing Dr. Lynn Archer is a full time faculty member of the IST Department. Faculty Advisor - Web Site Dr. Irene Joos is the faculty advisor for Nuance's web site. She is a faculty member in the IST Department and an adjunct in the Nursing Department. Thank you to the ISTC4055 senior seminar students (Brian Mountain, Cristina Perrelli, and Zachary Zapf) for the revised and updated website and to the graphic design students for the new graphics (Pavida Jaisamer, Allison Whitby, and Sydney Biney) and for the new design (Mac Designs).